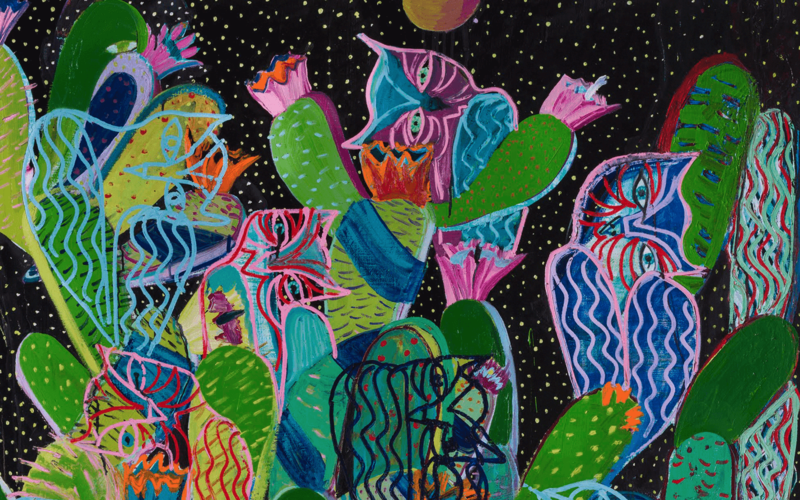 One River’s Teen Art programs are built around our unique, project-based curriculum that celebrates the most compelling artists and techniques from today and the last 50 years. We make learning art fun and produce ambitious artistic outcomes across a wide array of materials, subject matter and complexity. 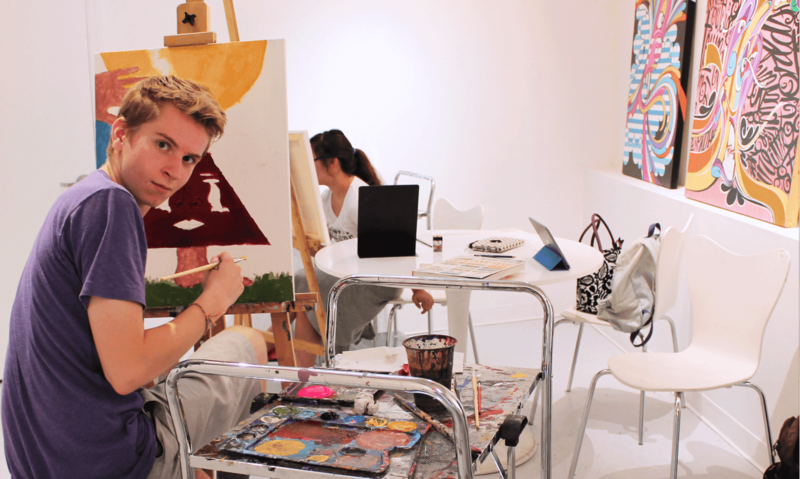 Students have fun, develop their personal art skills, gain knowledge of art history and make friends. 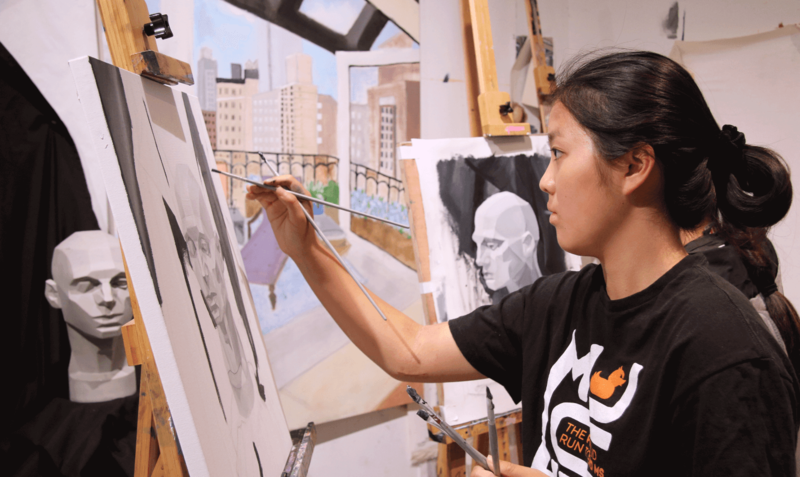 Art classes explore Drawing, Painting, Sculpture, Mixed Media, Manga & Portfolio Development. Students from beginner to advanced work one-on-one with instructors in a small group setting with a personalized approach. Learn the basic building blocks of Digital Art, Digital Design, Filmmaking & Photography. Create compelling projects using the latest digital software & equipment, focusing on having fun and learning practical and professional skills. Teen Art Shuffle is is designed for students to engage in drawing, painting and sculpture. 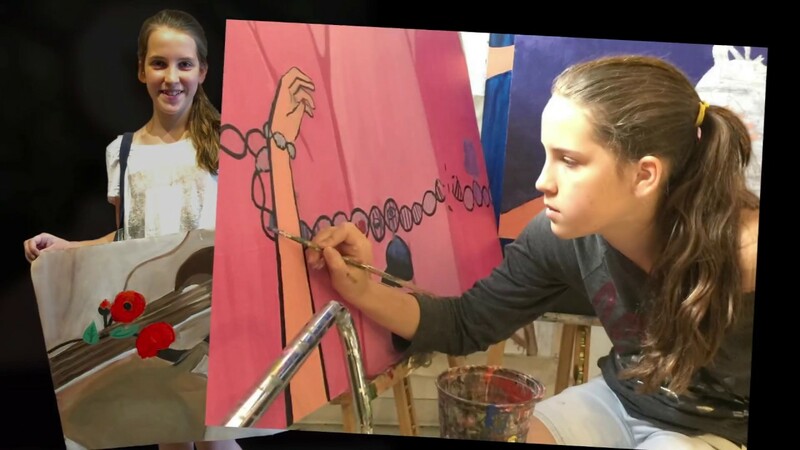 Creative projects that stimulate imagination and help develop important artistic techniques and observational skills in a fun and progressive environment. Become an experienced drawer with strong technical skills by mastering the principles of drawing. The class covers line, tone, light, texture, composition, spacial depth, anatomy, perspective, and more. Explore portraiture, figure drawing, still life, landscapes, and architectural styles. 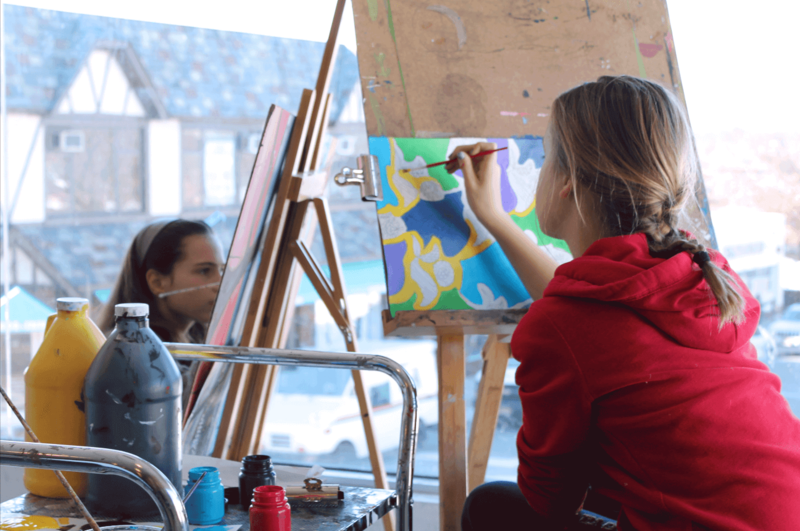 Students develop skills across drawing, painting, illustration, and character design while concentrating on a variety of Japanese Manga styles. Projects include creating original manga style comic books, illustrations, storyboards, character sculptures and stop motion animations. Digital Art Shuffle brings fine art and technology together by providing students with the tools, software and inspiration to make art on a virtual canvas. 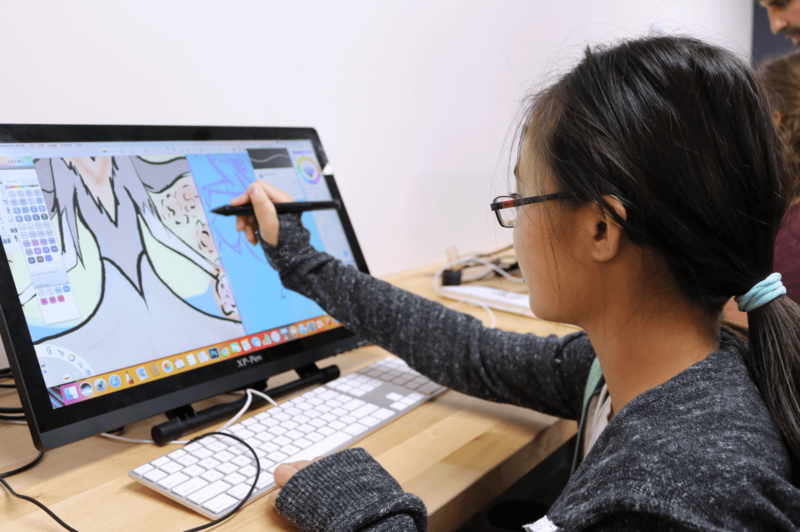 Students learn to create digital drawings, paintings and 3D digital sculptures using the latest software and digital tools. Photo Shuffle teaches students the technical and conceptual skills they need to realize their photography visions. 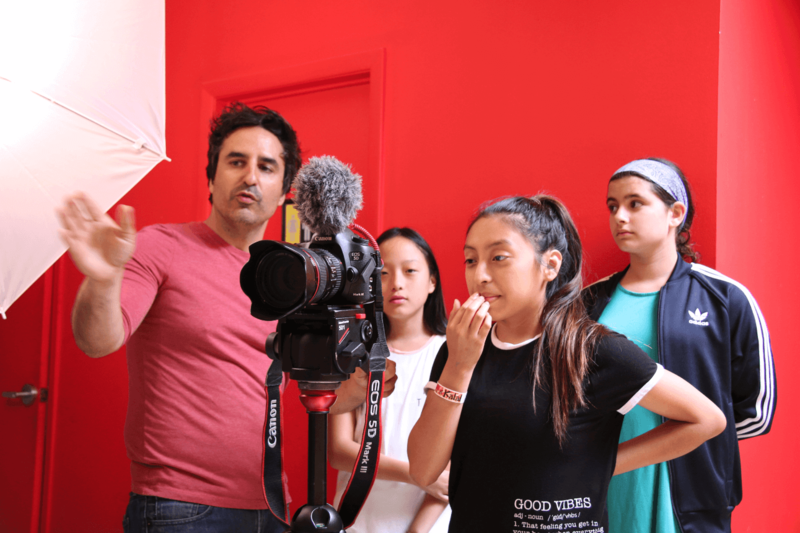 Students experiment with different approaches to taking photos while building a foundation of skills and mastering the use of their camera, professional lighting, and software. Digital Design Shuffle focuses on practical and professional design for today’s world. Students sequence through fun and inspirational design projects covering a wide spectrum from graphic and commercial design, to interior / exterior design and product / gear design. © 2019 One River School Evanston. All Rights Reserved.